Basketball Stars is an excellent multiplayer game that lets you play fast-paced match against a random same-level opponent. There are 2 game modes: Attacker-Defender and Shooting Race. The latter is easy to play and you can easily earn some quick bucks at the Underdog Court. Attacker-Defender is harder and winning depends on how skillful you are in defending or shooting the ball. Examine the gauge to the left side of the screen. It has a Perfect Power (PP) level that often changes position and you will have to perform long or short swipes according to its position. The PP level position determines the distance between the player and the hoop. The Perfect Power (PP) level tells the player whether the ball will reach and go through the hoop. 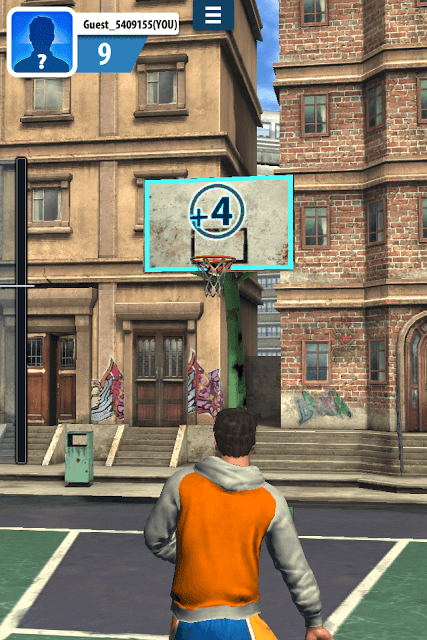 You will have to swipe straight up to the hoop to ensure that the gauge fills up close to the Perfect Power level. If it goes above the PP level, then your player will shoot pretty fast, which may make the ball miss the hoop. If the gauge falls short of the PP level, then it won’t reach it. You should swipe straight up to make sure that the gauge fills up very close to the PP level, almost touching it. You will still score if the gauge roughly fills 80-85 percent close to the PP level or goes 10 percent above the PP level. Many times, the PP level’s position changes. Sometimes it will be positioned lower and sometimes it will be placed higher. 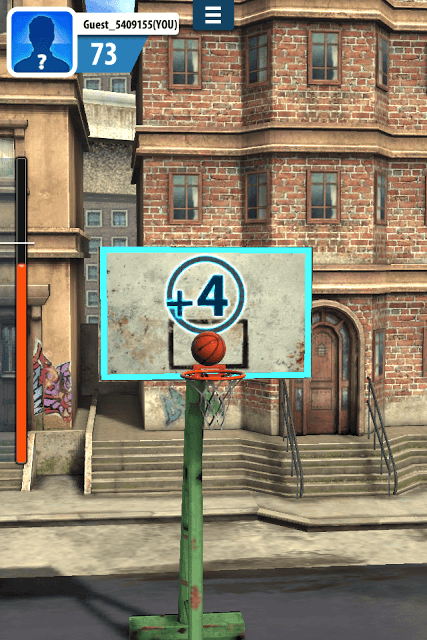 When it’s placed higher up on the gauge, the distance between the player and the hoop increases. In such a situation, long swipes will put the ball to the hoop. Place your finger on the bottom-most part of the screen and drag up until the gauge fills up close to the PP level. Doing this, the ball will reach and go through the basket. When the PP level is placed lower down the meter, your player will stand pretty close to the hoop. Here, short swipes will do the trick. Press the drag up quick to make the ball go through the net. A normal shot gets you 2 points, whereas a perfect shot fetches 3 points. Perfect shots fill the “On Fire” meter faster. Once your player is on fire, you will get bonus points every time the flaming ball goes through the hoop. Once activated, the fire meter will keep decreasing, so shoot quickly before it reaches zero. Before you start playing one-on-one multiplayer matches against players around the world, why don’t you practice shooting baskets? There’s a nice practice mode that will give you a clear idea of how the game works. Once you start practicing shooting, you will realize when to perform long or short swipes and how to get that perfect backboard bonus. 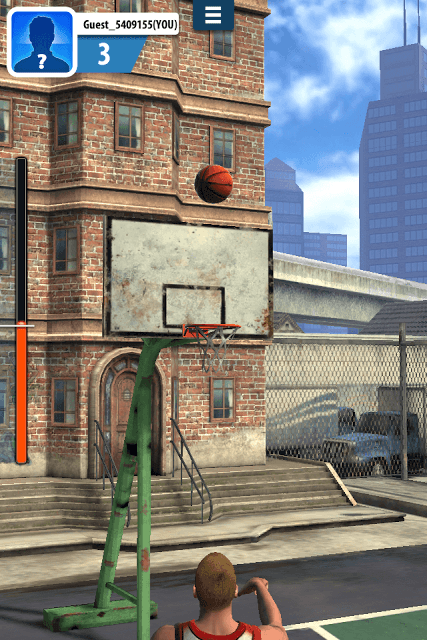 Once you have finished practicing, start playing the “shooting race” mode at the Underdog’s Court and once you are confident, you can begin playing advanced courts. Do remember that each new court requires more entry fee than the other, so make sure you earn more bucks at the first court and then play advanced courts. You get 4 points of the ball first hits the backboard and then go through the hoop. Getting a backboard shot isn’t easy, but once you know at what level the gauge should fill, you will easily score one. When playing defender in “Attacker Defender” mode, your first move should be to steal the ball from your opponent. But let me tell you that your opponent will know this trick and his first move will be side-stepping. He will side-step in the opposite direction just to confuse you. Swipe in that direction and try to swipe up to block his shot. Try to confuse your opponent by swiping straight up more than once to block his ball or moving along with him. This will make him difficult to shoot baskets and chances of the ball going through the hoop will be lower. When playing attacker, the defender will try to steal your ball. Try side-stepping or fake a side-step by double-tapping on the right or left side of the screen. This will confuse your opponent. Quickly swipe up to fill the meter close to the PP level to shoot. In this game mode, having a stable, fast Internet connection is crucial to win a match. 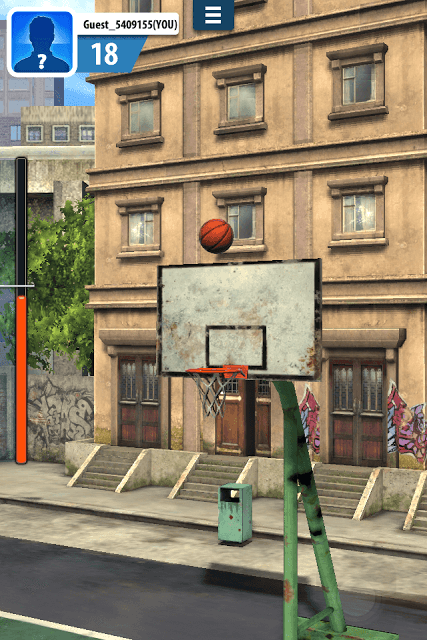 With a slow Internet connection, your player will be slower in stealing the ball or jumping up. Poor Wi-Fi connectivity can prevent you from enjoying a good, competitive game against your opponent.